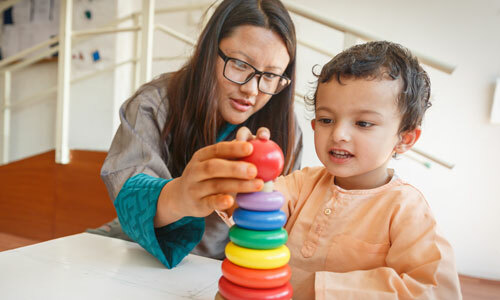 Ability Bhutan Society (ABS) is a public benefit organization founded on the recognition that persons living with moderate to severe diverse abilities, primarily children and their families have special needs. 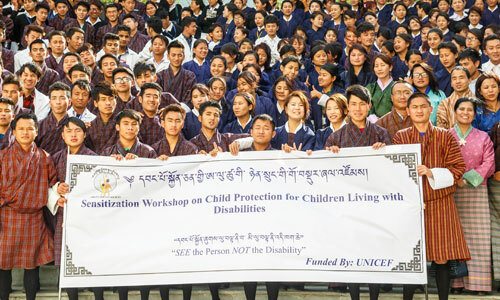 It was registered with the Civil Society Organization Authority of Bhutan (CSOA) under registration no: CSOA/PBO-15 on tenth of November 2011. 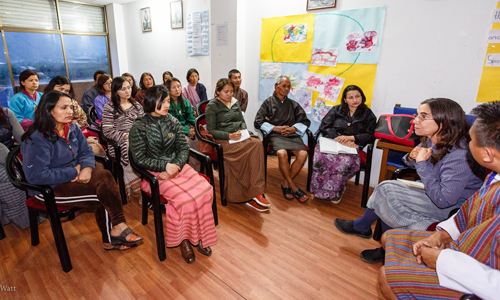 The concept of ABS was inspired by the vision of His Majesty Jigme Khesar Namgyel Wangchuck, The King of Bhutan, of a compassionate and just society. 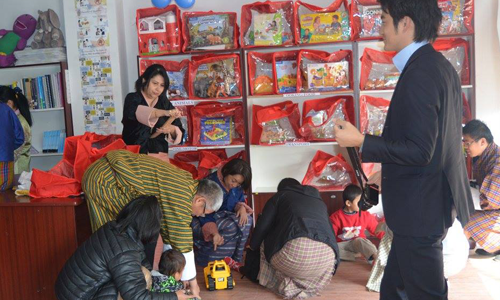 It was inaugurated by Her Majesty Gyaltsuen Jetsun Pema Wangchuck, The Royal Patron of ABS, on sixth of April 2012 as a project under the Kidu Foundation established by their Majesties as an endowment for Royal Projects. © 2019 ABILITY BHUTAN SOCIETY. ALL RIGHTS RESERVED.